Grill it while it’s hot! Love meat? Love the outdoors? Why not combine the two for dinner tonight? Brent, our Burnside Meat Expert, recommends BBQ steak for dinner while the weather’s still ideal for outdoor grilling. 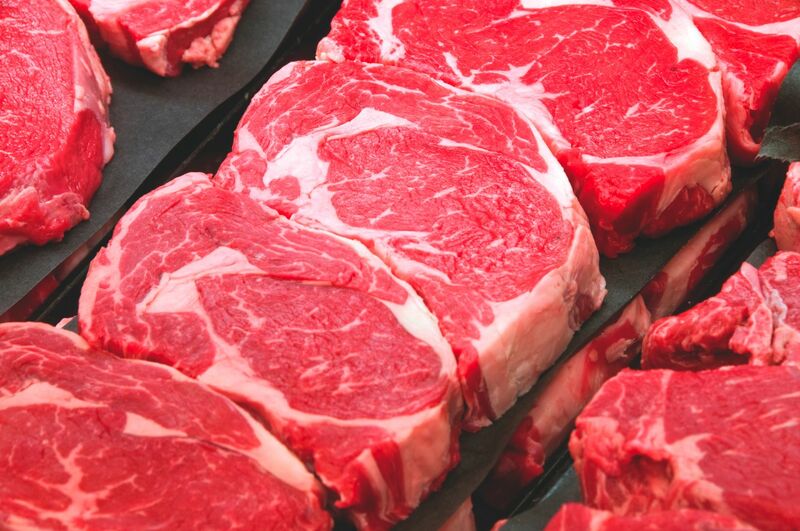 We have some delicious Ribeyes on display at all our stores, and because we get our meat from Harris Ranch, the family-owned and -operated farm, you know that everything’s as fresh as can be. When we asked Brent about his go-to way to create a delectable steak dinner, he suggested rubbing the meat with Carlton Farms’ Papa Jake’s Seasoning (which you can find at any Zupan’s meat counter) and grilling it to your desired doneness. And while the grill’s fired up, why not accompany your steak with some yummy, local sides? This is the best time of year for fresh corn and berries, so pick up yellow and white sweet corn (from Salem, Oregon) today, and grab some dark, sweet cherries (“Sweetheart” variety) while you’re there so you have something to snack on while you cook. Any of our meat experts can assist you with your grilling needs, so stop by Zupan’s Markets for dinner tonight and ask them how it’s done!